Covers TestNG, Cucumber, Maven, Ant. 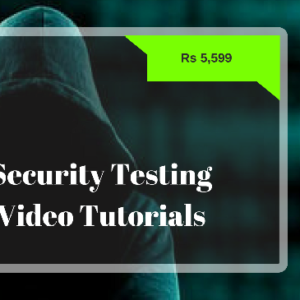 This course is specifically designed for Manual Testers or people w/o the coding knowledge. This course will cover Selenium IDE, Java (From chapter 11), Selenium 2 (WebDriver) and Frameworks (Data Driven, Keyword driven and Hybrid), and more. At the end of the course, you will not only get good knowledge in Selenium but also you will become expert in Core Java. Huge list of real-time and practical examples are provided for your practice throughout the videos and notes. These videos will help you a lot in cracking the interviews easily as all the basics and advanced concepts of selenium will be covered from the base level. Framework concepts are explained from the basics in a detailed manner, which will enable you to build frameworks on your own. What are the other things can I expect from this tutorial? We are also going to cover framework concepts like Log4J API, Ant, Maven, Selenium Grid, Page Object Model (POM), Page Factory, Selenium 3, etc. How long can I access these videos? Can I see the demo or the sample video? Yes, we have embedded a sample video hosted on the YouTube at the bottom of the page. Can I see the course summary? Yes, we have embedded course summary. It has 65 chapters in total. Please scroll through to see the course summary. I can’t pay in INR. How do I buy this tutorial? You can pay using PayPal in USD, the course fees will be USD 16 + 8% PayPal fees. Total, 17.28 USD. Chat with us to get the invoice inboxed to you. I do not know coding. Will this course help me? Certainly, this course is specifically designed for people who do not know coding. We are including Java training in this course. Will I get an access to any code and notes? Downloadable automation frameworks, programming code, and other files are provided inside the notes. All the material provided is absolutely awesome. It is very descriptive and very good for Beginners. The sequence of material makes us learn step by step. Thanks a lot for good knowledge Base. Probably the among the best tutorial series that I have been through. Well planned and detailed course contents for providing step-by-step guidance to the beginners who want to start fresh with Automation testing, Core Java and Selenium. Amazing and competitive price tag is the best added advantage. Keep it up. Presentation of the materials is in a way that even people with no experience can understand and learn. Notes are very detailed and step by step explanation is very useful. I would highly recommend this course. I think this is the most detailed and easy to understand selenium tutorial among all the tutorials available there in the market. Not just selenium,even core Java is covered so nicely ! At at this price,one should not think twice !! 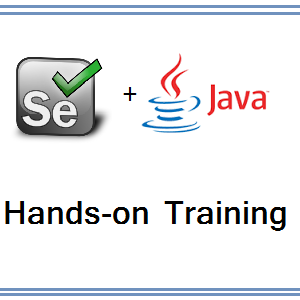 This is the best selenium and java tutorial available online… I’ve gone through many courses but this is the most detailed training. Would highly recommend to people who aspire to learn selenium from scratch! The videos are just awesome. 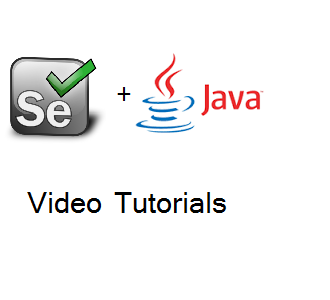 I had no idea about Java and Selenium but after watching these videos Java and Selenium learning is very easy. Thanks for your efforts…[email protected] ??? The best online selenium course available on internet.Such a detail and nice explanation,nobody can even imagine .By closing out eyes we can take this course.Definitely you will learn a lot and will become an expert in java and selenium.. Very detailed and extensive material to learn Java, Selenium and Framework concepts. This videos are very detailed and understand easily.Explanation is very good and every concept covered in parcricle manner. I am recommeding to people who need to learn selenium. I was insearch of a framework and this videos gave me good idea on implementing a framework. Thank you so much. 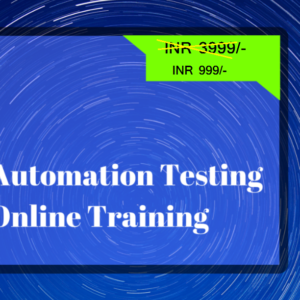 The all-in-one selenium automation learning solution and that too available at a rock bottom price. Arun earned this review totally from me. I am not forced or paid to write this review. I am writing this with utmost contentment. I have taken many courses in the past, none of those made me feel that I am ready to jump in and work on it using the knowledge I gained. Every course only gave me 20-30% knowledge. But Arun’s course is very very thorough. You will gain Java and Selenium knowledge 100%. You will be in a position to go and work on Selenium right after completing this course. I had zero Java knowledge when I started this course. But now I understand all the difficult Java concepts and I can pick up a new language myself. You will not find a trainer like Arun. You can see how many hundreds of hours of hard work he has put in. 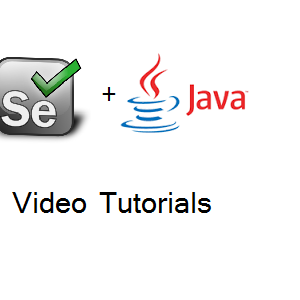 If you are looking to learn Java or Selenium, dont look any further. Close your eyes and buy this course. I promise you will not be disappointed !! Buying this video tutorial was the best decision. The course is well explained with examples & very detailed.Also, it is well organised. No doubt, a lot of effort has gone into making of this tutorial. I would recommend it to everyone who want to master java & Selenium. Thank you Arun for the amazing Video Tutorial. Some how I landed in Arun’s Selenium web site a month ago, initially i thought even blog is so useful for learning Selenium then why to go for video training but trust me , I have made correct decision of buying his course in discounted price (if we get anything cheap we have to compromise in quality) but Arun gave everything lecture in detailed manner and the content & quality is excellent if you don’t trust me just try it once 🙂 . again I don’t want to compare Arun with anyone else in the market but he is the one who is giving everything from basic to Ninja level knowledge through his course in java and Selenium. Thank you guy(s) for your efforts :). I have been going through the online study materials available for quiet a while now and my inference is that this tutorial is the most detailed and easy to understand for beginner it gives you enough understanding of even the smallest concept be it core java or selenium.